A Coming of Age for LoRaWAN? New hardware, and a lot of parallels to the original Internet? Only a few years have past since the cost of a LoRaWAN base station was of the order of several thousand dollars. That put them well outside the pocket of the casual, or even the not so casual, hobbyist. But then, back in October 2015, came a Kickstarter campaign, which arguably perhaps, has been one of the major influences on how LoRa has evolved. Because, since the campaign, The Things Network has become a major player in the LoRa landscape, and this year especially, has been their year. So with the LoRa hardware market now maturing, with some even suggesting that LoRa has taken an admittedly still shaky lead in the standards wars, the announcement of the new Arduino Pro Gateway for LoRa at electronica 2018 in Munich comes at an interesting time in the ongoing war around the low-powered wireless standards for the Internet of Things. On the heels of The Things Network Conference in Amsterdam earlier in the year, which kicked off a series of “On Tour” events, and the release of their V3 infrastructure, the idea that LoRaWAN could be the potential winner to the low-powered Internet of Things wireless standards wars suddenly seemed possible. With the parallels between the emerging LoRa networks, and the early days of the Internet, beginning to appear quite striking. Arduino has always covered their bets when it comes to the low-powered wireless standards wars, announcing MKR boards supporting Sigfox, NB-IoT, and LoRaWAN, all three of the main competing standards. So it’s unclear whether last week’s announcement of a LoRaWAN gateway shows which way the Arduino team’s support is now leaning, or whether it’s just bowing to reality. Of the three competing standards, LoRa is the only one that is open. It’s the only one where building, and running, your own gateway is possible. Somewhat intriguingly however, the Arduino Pro Gateway for LoRa is a departure for Arduino. Because the gateway isn’t an Arduino at all. Instead, it’s a Raspberry Pi. Based around an Embit EMB-LR1301 mini-PCI Express module using the Semtech SX1301 chipset, Arduino’s gateway is actually a Raspberry Pi HAT hosted by a Raspberry Pi 3 Model B+ inside an aluminum enclosure. Interestingly, despite the dominance of The Things Network, and the openness of their new V3 stack which you would have thought would be a factor for them, Arduino has chosen to roll their own stack. The gateway comes pre-installed with a forwarder supporting a network server, provided by A2A Smart City, that is running on Arduino’s own Arduino Create platform. However, given the global coverage that The Things Network has already built, you have to wonder whether Arduino will be entering into private-public, or even a public-public, peering agreement with them to extend the coverage of their new LoRa network. Despite this caveat, it seems clear that, at least right at the moment, the Raspberry Pi is finding yet another niche as the board that most people seem to be using to host their gateways. 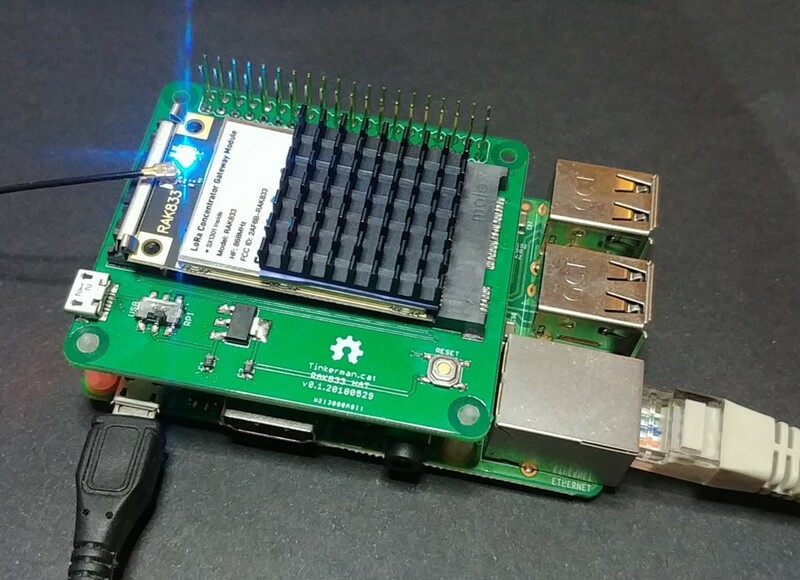 Because we’ve seen others using the Raspberry Pi in the same fashion in the past. While doing so was fairly involved a couple of years back, things have become a lot simpler since the arrival of the RAK Wireless RAK833 module. We’ve now seen several builds make use of the new RAK hardware which, like the Embit EMB-LR1301 board chosen by Arduino for their gateway, ships as a mini-PCI Express module and is also based around Semtech’s SX1301 chipset. 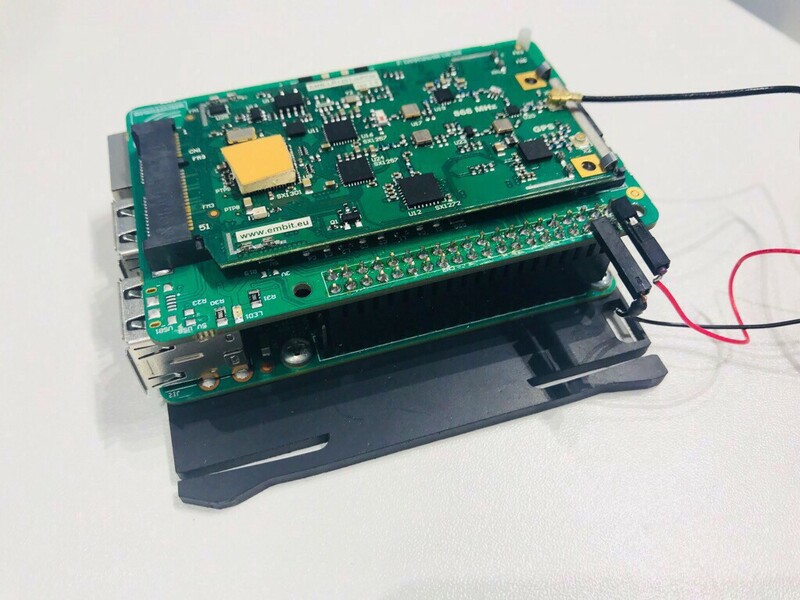 Last month, for instance, Pi Supply announced a range of LoRa boards with a Kickstarter campaign, including a RAK833-based Raspberry Pi HAT to serve as a gateway. So while The Things Network may have discontinued their own gateway hardware—which came in at €200, or just twenty percent of the cost of the then cheapest available off the shelf gateway models before that—the arrival of a maturing hardware base means you no longer now have to try and pick up one of the few remaining units still out in the wild, still available for sale, if you don’t want to roll your own gateway. The European version of the Arduino Pro Gateway for LoRa, operating at 868 MHz, is now available for pre-order on the European version of Arduino Store and costs €350.00 plus tax and shipping, and the first pre-orders for EU units should begin shipping in mid-January 2019. But an American version of the gateway, which operates at 915 MHz, isn’t available it should be coming to the US Store soon. If you can’t wait for the Arduino gateway, the PiSupply gateway is now shipping to beta testers for review, with production hardware predicted to be going out to Kickstarter backers by the end of the week. 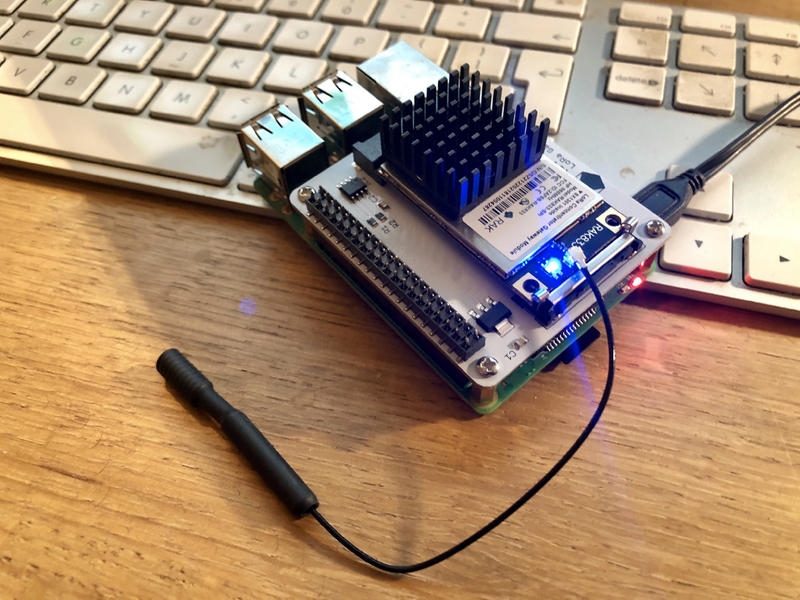 The PiSupply IoT LoRa Gateway HAT for Raspberry Pi costs £108.32 plus tax and shipping—although that doesn’t get you the Raspberry Pi, enclosure, and power supply included with the Arduino gateway—with both EU and US versions of the HAT available to pre-order just as soon as hardware has shipped to PiSupply’s Kickstarter backers. A Coming of Age for LoRaWAN? was originally published in Hackster Blog on Medium, where people are continuing the conversation by highlighting and responding to this story. Original article: A Coming of Age for LoRaWAN?